Tactical Management | Global View Capital Advisors, LTD.
What are you doing to protect your assets? With the continuing demand for innovative solutions in this unpredictable world we're living in, the evolution of active and tactical money management continues. Our strategic partnerships and advanced technologies have dropped the barriers for average investors, and have now allowed us to bring the help to where it is most needed: in the markets where most day-to-day Americans live. Because of our firm and its partnerships, we are able to serve as the conduit between the third-party management firms and our clients. Our job is to match our clients' needs to the proper money manager(s), where our duty will always be to our clients first and will look out for their best interests not just today, but as we move forward toward their future financial and retirement goals. So why Active and Tactical Management? 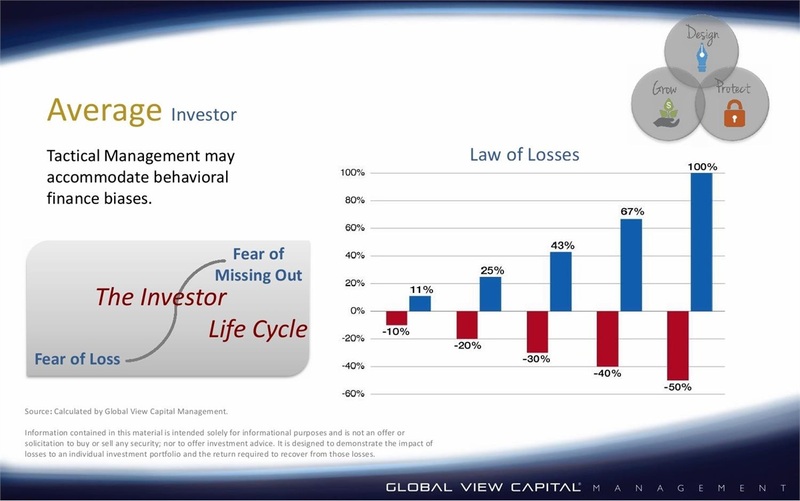 The 1st chart illustrates the concept of hiring a Tactical Manager, wherein we simply applied the long-term trend signals of AdvisorGuide - a research firm that specializes in providing daily, objective market insight to investment professionals - to show that during certain periods, especially during times of severe market declines, a portfolio may warrant a "Defensive move". In this case, the chart shows the portfolio being invested in Treasuries during those down periods. So, instead of riding the market to its top, only to ride it back down during severe market declines, having a tactical methodology that provides a defensive component to your portfolio may help your portfolio do better over the long term. 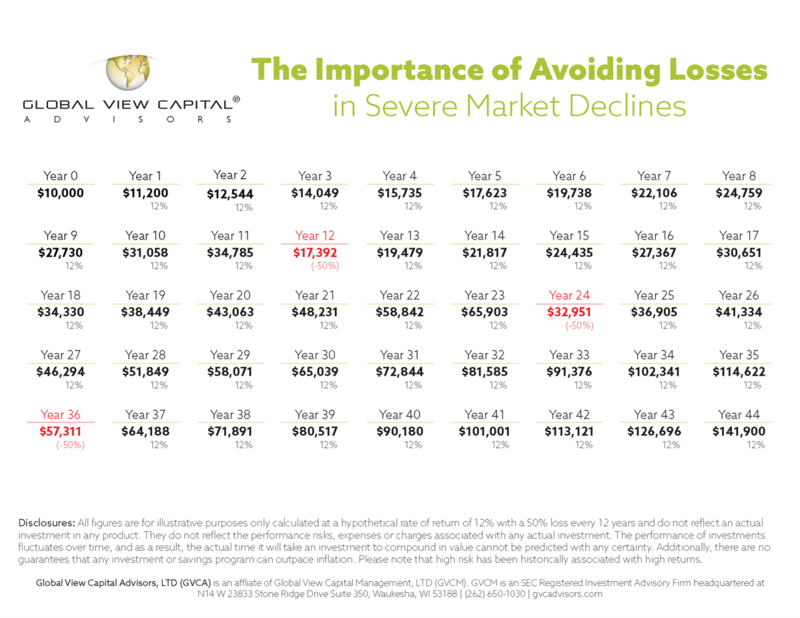 The next chart shows the effect of The Law of Losses, where it shows how much return one would need to get in order to recover from certain levels of losses. The key thing to note here is that the steeper the loss, the greater the return needed just to bring one's portfolio back to its previous levels. The question to ask here would be, "since the Financial Crisis of '07-'08, how many people do you think really would have made the 100% type of returns to get back to where they were prior to the crisis?". So, as important as it is to make money, it is equally important to place an emphasis on protecting what you have because if you experience significant declines, as many did back in 2008, those declines could have a signifcant impact on your retirement nest egg and its ability to provide your future needs. 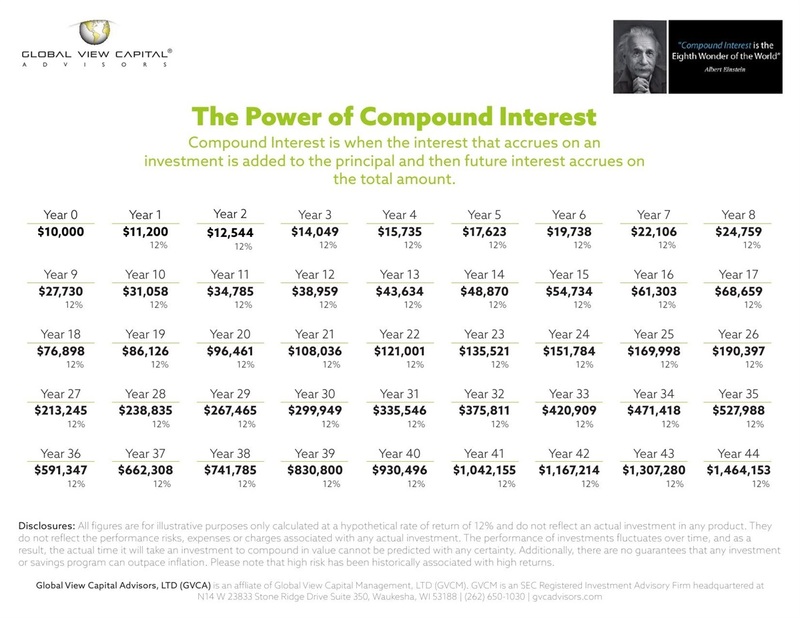 The next two charts show the Power of Compound Interest, followed by how significantly your nest egg can be impacted even if your portfolio achieved the same returns in all years EXCEPT that once in every 12 years there's a 50% loss. Note the HUGE difference in each of the ending balances in the same timeframe. This is why it may be prudent for you to consider Active and Tactical Management to allow you to participate when markets are good, but helps provide the defense your portfolio needs when market conditions change. So, what's the main lesson? 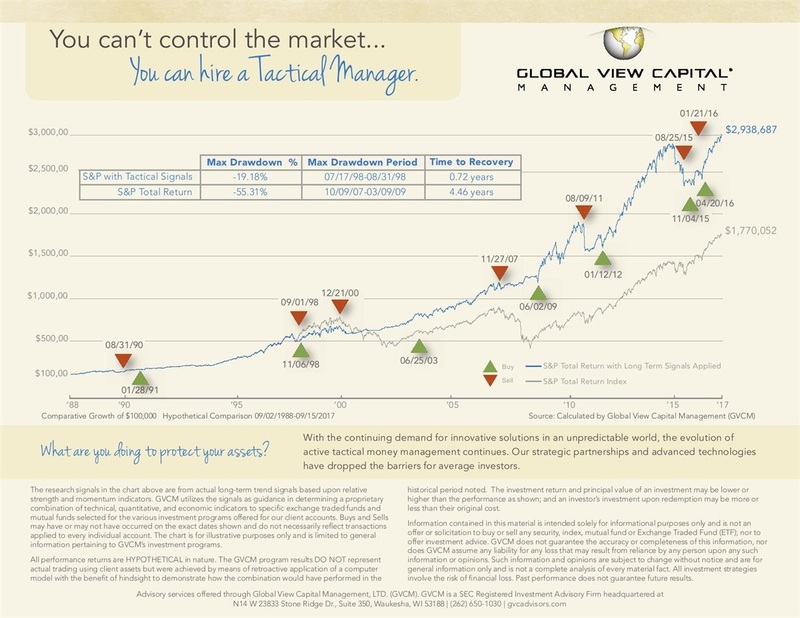 While You can’t control the market…You can hire a Tactical Manager.